CEO of Al Imam Enterprises, established in 1993, evolved the company from an infant into a renowned development organization. 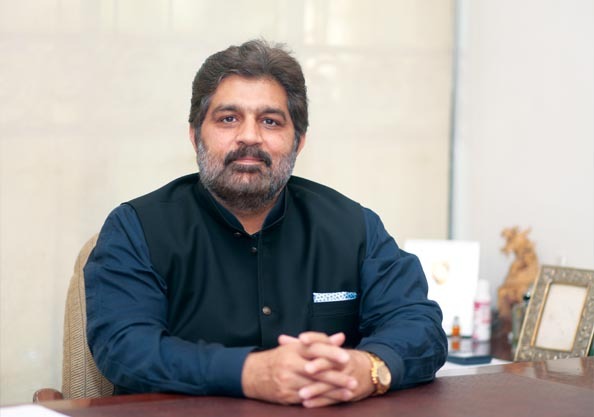 Success came at an early age in his life when he completed his Bachelor’s degree in Architecture from the University of Engineering and Technology, Lahore, with a distinction. That motivated him to follow it up with a complimenting Masters degree in Urban Design and Regeneration from the University of Manchester, UK. The education combined with an endless passion for development and design gave him immense expertise in addition to Architecture and Urban Design; in Interdisciplinary Design Management(coordinating aspects of architectural design with construction and manufacturing processes), High and Medium Rise Tower Design (their technological and ecological issues), Development Economics and Real Estate Development (project feasibility and revenue generation) and Regeneration of derelict parts of city centres. Being a strong believer to spread his exposure and learning into the upcoming generation of Pakistan, Mr. Ahmed Mukhtar, actively contributes in education as an External Juror and part of visiting Faculty at The University of Engineering and Technology and The National College of Arts, Lahore. As a Member of committee on Curricula Development for Urban Design Studies for B. Arch and M. Arch Studies at The University of Engineering and Technology Lahore. Primary Participant in the Design charrette for Ravi City along with Ove-Arup Associates, Julian Beinart MIT, Meisa Batainey and Mohammed Al Batieneh of Maisom Architects and Engineers, Jordan, for the proposal of Ravi City, probably the largest planned development in an existing city; spread over 50,000 Acres in the north of city Lahore year 2006. Analyses and solutions of the problems in Spatial Structure of Stockport (A conurbation of Manchester. U.K.) For the award of Masters Degree in Urban Design and Regeneration. Mughal Gardens Worked with Associate Professor Naeem Mir & Michael Brandt. Work published in 1997.